You don’t need to be a cybersecurity expert to know that this is nonsense. 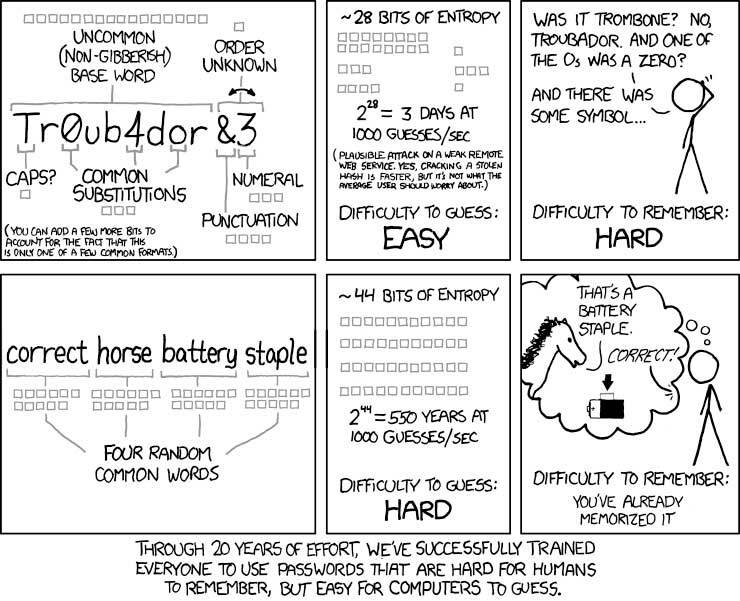 Comics like XKCD have been mocking special character passwords for years. As is well known a long but easily memorable string of dictionary words like “thisgovernmenthasnochanceofwinning” is much harder to crack than a shorter [email protected] with obvious substitutions like @ for a (this password would meet the conditions I was asked to satisfy). Anyone who paid attention knew all this years ago. But the coup de grace came with the widely published admission, a month ago, by Bill Burr, the person who invented these rules, that they were wrong and made computers less secure. By this point even the readers of the Daily Mail are in on the joke. 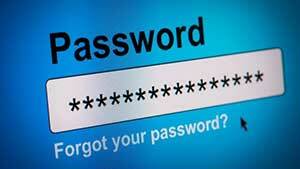 I could deal with my own password problem easily enough. There are lots of apps on the market that manage passwords and generate them so as to satisfy even the silliest composition rules (I use 1Password). But lots of users don’t have these apps and will adopt insecure practices like writing down the password on a sticky label. So, in the spirit of “if you see something, say something”, I wrote to the agency in question, advising that its security practices were out of date. I assumed that the policy had been imposed by a technologically illiterate senior manager and that a client complaint might lead to some action. Imagine my surprise when the agency wrote back to inform me that they had no choice in the matter. The new (in)security policy had been imposed across the entire Australian government by our chief cyberintelligence agency, the Australian Signals Directorate (snappy slogan “Reveal their secrets, protect our own”). In May 2016, shortly after the NIST repudiated password expiry and composition rules, the ASD came up with a 300-page Information Security Manual, including (on p. 193 for those interested), the requirements for 90-day expiry and a complex composition rule. Given that ASD is our representative in the “Five Eyes” Anglospheric intelligence agreement, I would have expected it to have access to the best available advice from the US. But apparently, they don’t even read the trade press. I haven’t read the rest of the manual and wouldn’t be qualified to assess it in any case. But if the agency responsible for our national cybersecurity is mandating policies that are too silly for the Daily Mail, it seems unlikely that we can place much faith in the advice our government is receiving on more significant issues like data retention and the exploitation of security vulnerabilities by intelligence agencies seeking to “reveal their secrets”. This article first appeared in our sister publication, Crikey.